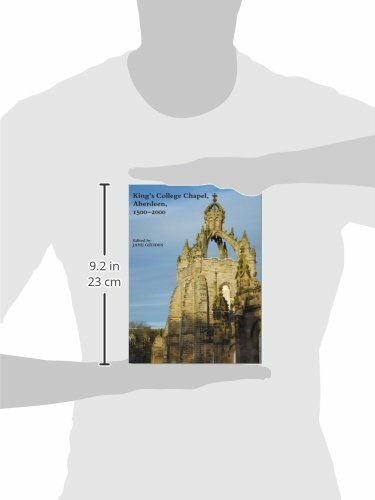 This new edition is a revised and expanded version of the book produced in 2000 to celebrate the quincentenary of King's College Chapel, Aberdeen. Since then, exciting discoveries have taken place and old ideas have been reappraised. The choir stalls and woodwork have provided a fresh seam of information about the meaning and use of the medieval chapel. Daniel MacCannell has identified new iconography in the stalls. Jane Geddes, prompted by the installation of the new organ, has investigated the original function and appearance of the great pulpitum or screen between the choir and nave and discovered the location of a magnificent lost organ loft. Mary Pryor and John Morrison have examined the great baroque biblical paintings and come up with a totally new interpretation of their iconography and function: a political warning to King Charles II. Easter Smart, the university chaplain, describes the flexible and ecumenical use of the chapel today. The revised edition appears in time to honour the quincentenary of the death of Bishop William Elphinstone, the founder of Aberdeen University, who died in 1514. This book aims to integrate his legacy to the chapel: the liturgy, music, architecture and fittings. Thanks to an unusually tolerant and conservative attitude towards religion at the university following the Reformation, the chapel has survived in a more complete medieval state than any other church in Scotland. The rich archive of university documents show how benign neglect and a fierce pride in their iconic building caused the university to maintain the structure and its furnishings even during the long centuries when it ceased to serve a religious function.